Lori Mirek, is the chairperson of the St. Raymond Church Pastoral Council and also currently serves as a Trustee of the Dominican School of Philosophy and Theology where she is on the Advancement Committee, as a Trustee of the Harvard Business School Association’s Northern California chapter where she is on the Nominating Committee, and as a Trustee of the World Affairs Council where she is on the Marketing Committee. She has previously served on the board of directors of the United Nations Association for the United States of America, Cantabile Youth Singers, and TechNet among others. A longtime technology executive, Lori founded Currenex, Inc., and served as its CEO positioning the firm as a pioneering independent facilitator of online multi-bank money markets and foreign currency exchange transactions. 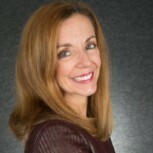 She was a Senior Vice President for America Online/Netscape guiding their strategic efforts in the business-to-business eCommerce sphere, President at Ameritech’s Health Connections, and ran Oracle’s Americas Marketing, among other high tech positions.